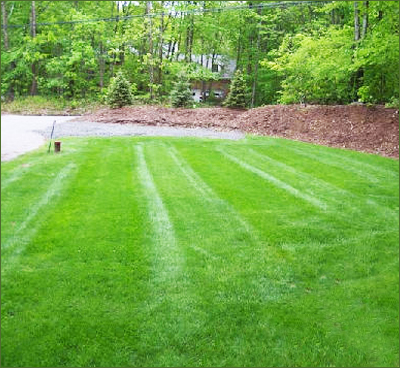 When I first called and spoke to Nick I wasn’t sure how to fix my sloping yard. After I met with him I had multiple options laid out on paper and was able to choose the best one that suited our needs and fit our budget. What a difference a few hundred yards of fill can make. 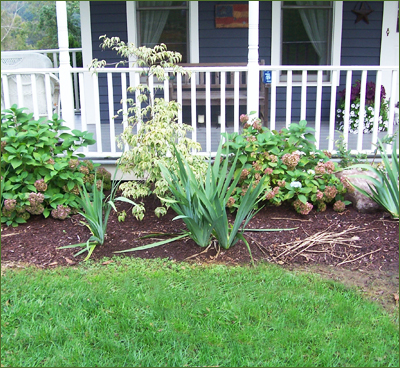 My front yard went from a steep slope to a golf course looking yard after being hydro-seeded." Country Landscaping being a one source contractor is no exaggeration. They were able to build a wall and incorporate front steps, install a paver walkway, add a driveway drain to stop pooling water, and even have the driveway paved. I highly recommend them to everyone." We couldn’t be happier with the way it, our walkway and patio, came out. Everything looks perfect and compliments the house, better than I ever imagined. We look forward to phase two next year." Nick and his team built a really great outdoor living area, tying in this year’s work with the work they did last year. We look forward to many enjoyable times on the patios." Nick was the most patient and cool headed contractor I have ever worked with. He was able to adjust for bad weather and material delays and was able to still finish the project when he said he would. This is a rarity in this day and age. Thanks Nick." What can I say… I’d refer Country Landscaping to anyone. After Nick addressed my water problems by adding curtain drains, extending my gutter leaders, and tying all of this into the catch basin: my yard is perfectly dry. Thank you so much and I’ll be in touch in the spring." The plants are looking great. I can’t wait to see them all flower and mature." Listening to Nick's advice on hydro-seeding my lawn over traditional straw was the best thing I could have done. Its coming in great so far." When my husband and I wanted to replace the front walkway to our home, I called ten people. Of those ten, five called me back. Of those five, two came out to look at the job. Only one gave me a price. That one was Nick of Country Landscaping. The walkway looks so beautiful and the curves so exact, it's no wonder everyone compliments us on the walkway. "